On Tuesday 3rd May, The Fragrance Foundation were thrilled to host An evening with… The Boss. 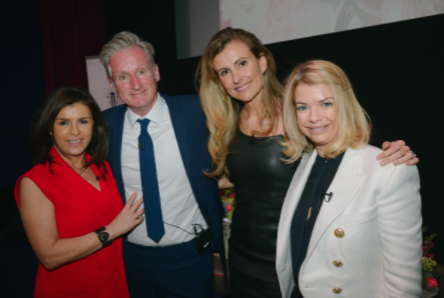 Annalise Fard, Director of Home & Beauty at Harrods & Chairman of The Fragrance Foundation, hosted our fantastic panel: Margaret Attwooll (Parfums Christian Dior), Chris Good (Estée Lauder Companies) & Amandine Ohayon (L’Oréal Luxe) at The Ham Yard Hotel. We were honoured to have such inspirational leaders join us for the evening. Leadership comes with many challenges. Mags discussed how the challenge comes in staying one step ahead. How does she do this? Surround yourself with the best and the most diverse people. The key is never to lose sight of the customer – it is a crucial ingredient to success and you must always keep them at the heart of your business. Chris agreed with this and emphasised the importance of spending time in store (and even took his 6-year-old on store visits with the lure of The Disney Store!). What is the future of fragrance? Amandine emphasised the need to recreate the magic of fragrance. Similarly, Mags is focusing on magic & inspiration for customer. Customers need authenticity of product, and great content both online & instore Chris’ point was that we need to sell the dream of fragrance! We need to learn what motivates the younger customer, & really emphasised the importance of gifting – as a Nation we love to gift, we need to work to get fragrance on the list. Like everyone in the audience, fragrance plays a huge part in our panel’s lives (more than just simply paying the mortgage!). For Amandine, it is an expression of personality, completely emotive & depends on her mood (and which General Manager she is meeting!). Chris intuitively picks a fragrance for the day – from now on he will give more thought as to why he picks what he does! What were their most memorable launches? Mags’ launch of Sauvage was the first big launch for her & her team. Amandine chose Black Opium and Chris’ was the first launch he personally worked on – Aramis Tuscany. For him now it has become more about brand development such as Jo Malone London & Tom Ford, and getting their new acquisitions to this level. For such impressive careers, one of our top questions was finding out what they would consider to be their career highlight. 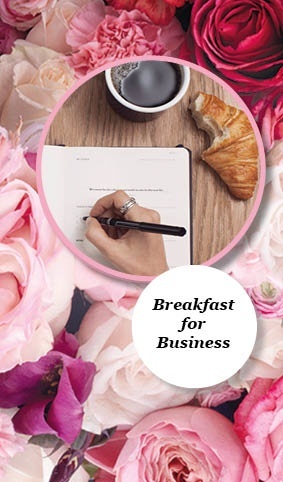 Amandine’s is achieving her success without compromising as a mum. For Chris, it was the time spent working in Russia; a totally different experience. It is a truly unique market, where meeting your biggest client can include meeting them in prison...! He also commented on seeing the success of his employees. For Mags it was joining Dior & also marrying her husband. Interested in working for one of these amazing companies? We were lucky enough to hear some of the things they look for in employees. For Mags, it all comes down to passion & never giving up on your dreams. Similarly, for Chris, “Positive things happen to positive people” – a quote we can all learn from. It is better to regret what you have done than what you haven’t. Lauder is a collaborative environment where youngsters can really succeed – they ‘lead from every chair’. A key point that came across from all our inspirational panel was the importance of the work/life balance. It is about prioritising; a school play is always more important. Mags’ motto family first, always. Spending her weekends in Scotland, her ultimate way to relax is with good friends, food & wine. Chris & Amandine find exercise crucial when fully switching off. Amandine, Chris & Mags are all huge supporters of The Fragrance Foundation. Why is it so important to them? Chris emphasised how important it is in growing the category – it is an opportunity to identify priorities for the industry as a whole and pursue them together. Chris is a particular fan of the Mighty Nose Project! For Amandine, she loves the initiatives in place, particularly the training opportunities offered. It helps keep standards high in the industry which makes the category stronger as a whole. All in all, it helps keep the business more exciting. Mags highlighted how the mix of members makes it very exciting to be part of, it’s a way to give back and inspire people to join our industry. We couldn’t let them leave without finding out their Scent Memories. Chris’ first memory of fragrance was Aramis which he used to impress the ‘hottest girl in school’ aged 14! Mags’ is the original Miss Dior – a fragrance that will always remind her of the cuddle from her Grandmother – her best friend, and all the memories they share together. Finally, Amandine’s was Lily of the Valley from Penhaligon’s, the fragrance her mother used to wear. To read the full story, please visit scentmemoires.org. Our thanks go to our fantastic panel, and to Annalise for hosting so eloquently. We look forward to announcing our next event soon!